Catecinem | Kăt • e • kĭn • em, n. The place where Christianity and film meet for coffee. A very happy Easter to all of you who celebrate Christ’s resurrection today! And a pre-emptive happy Easter to my Eastern Orthodox and Coptic brothers and sisters, who will celebrate next week! Life has been difficult for my family and me of late. We’re muddling through, though! I wanted to drop a note about some random odds and ends for anyone who is still following this blog. It’s not dead yet! This spring, God willing and the crick don’t rise, I will finish my graduate program. My hope is that this will free up at least a little time to do more movie-watching and writing about film. Within the last few months, I’ve watched several films from last winter and this spring, including a few Oscar nominees. At some point I’ll do something of a catch-up on those. Earlier this year, I also got my first smartphone. We can’t afford a data plan, so I don’t use a lot of apps, but I have taken advantage of the fact that I can download and listen to podcasts. Previously, I had just streamed them on my laptop while I did house chores, but being able to listen to them while walking or driving has been incredible. (Especially since our vehicle does not have a working radio.) Some podcasts that I have enjoyed so far: Welcome to Nightvale, Imaginary Worlds, The Black Tapes, Serial (season 1), American History Tellers, High Rollers: Aerois, Caliphate, Halloween Unmasked, and Not Another D&D Podcast. Sadly, Gene Wolfe passed away last week. The only thing of his that I’ve read is The Book of the New Sun, which was baffling but somehow still quite powerful. I’ve read half a dozen obituaries of Wolfe, and found it it somewhat odd that nobody mentioned the irony that he died on Palm Sunday. I think that I’ll have to carve out time to revisit Book of the New Sun this summer, or at least read something else of his. We’ll see. Also on my summer docket is Ron Chernow’s Alexander Hamilton biography. The occasion is the fact that I finally (yes, finally) listened to the Hamilton soundtrack, and I was pleasantly surprised that it lived up to the hype. My old friend Alex emailed me about revisiting Jackie Chan’s filmography in a systematic way a few months back, but I just didn’t (and still don’t, for the moment) have the mental bandwidth for it. But it’s something I’d like to do, in part because I haven’t even seen his last several films, and it would be nice to watch them in the context of everything leading up to them. He’s still my favorite living actor, after all. It has also occurred to me that the last Sight & Sound poll was in 2012, which means the next one is coming in 2022. 2012 was the year I started actively working toward going back to school, and it’s the year when I basically ceased living like a cinephile. I have three years to watch or rewatch some of the classics I still haven’t seen. Looks like I’m going to be watching Jeanne Dielman…, Shoah, Satantango, and Histoire(s) du cinema sometime in the next couple years. Having written that sentence, it occurs to me that what they all have in common is that they’re freaking long. So I might just watch one of those each year or something. Hm. Baby steps. Baby steps. Probably the best book I’ve read so far in 2019 is The Pleasures of Reading in an Age of Distraction (2011) by Alan Jacobs. Among other provocations, Jacobs rallies to the defense of Whim—the sovereignty of reading what one chooses when one chooses it. For Jacobs, Whim is not simply picking up and abandoning books willy-nilly, but a principle of reading to edify oneself, and of actively seeking true edification in the reading experience. True edification cannot be separated from pleasure. It occurs to me, looking back on everything I’ve written on this blog, that most of my best writing has been done in the spirit of following my Whim. Consequently, I have not been good as sustaining long-term projects on this blog. So I don’t want to overpromise on the things I’ve mentioned above: the Jackie Chan project, returning to Gene Wolfe, etc. Similarly, as a result of my life path, most of the writing I’ve done here in the last few years has not been about film or theorizing film from a Christian perspective. I’ve written a lot about books and reading, because that’s where my mind’s been at. So even though Catecinem started as “the place where Christianity and film meet for coffee,” I suspect that I’ll do plenty more writing about other media going forward. Having just (very nearly) completed a long-term writing project, I know what it takes to bring something like that to conclusion. And while I have enjoyed it in most ways, I have missed some of the freedom that comes with following my writerly Whim. I’ve missed blogging in particular. Though I think blogging does support long-term projects pretty well—hyperlinks and keyword tags are incredibly useful tools—I think that, for me, blogging supports essay-writing. It also supports fragments and thoughts-in-process. There are no deadlines for an amateur blog, so I can write until I feel like I’ve developed my thoughts as far as they will go. At that point, I publish or I abandon the post. But I can trace the development of certain thoughts over time, in fragments, in throwaway thoughts, in mostly-polished essays. In short, even if I follow my Whim, it’s not going to be disconnected from the continuity of my thinking over the course of years. And all of my best writing (or, at least, my writing which has been the most stimulating for me) has been edifying: pleasurable to write and to revisit. In other areas of my life, I find myself often writing for reasons other than edification or pleasure. Here, I’d like to reserve space for doing something pleasurable and nourishing. The last few months haven’t spared me the time or emotional capacity to play D&D as much as I’ve liked, but I hope to dive back in pell-mell once summer starts. By and large, I’ve refrained from posting my various thoughts on the game. I’m still relatively new to it; I’ve only played 5th edition; I’ve not played with many people. My experience, in short, is fairly limited. But I’m going to run Tomb of Horrors (from Tales from the Yawning Portal) as a Memorial Day event, and I might write about it. As a money-saving measure, we gave up our Netflix and Hulu subscriptions a few months ago. I really miss not being au courant, but it occurred to me that I never really was. Not in a meaningful sense. I had several subscription services, but I really only watched a few things on any of them. There’s simply too much to watch anymore. There always was, but I think the format of streaming services preserved the illusion that one could keep up on everything, simply because it was instantly accessible. Now that I don’t have access to those services, there’s a part of me that feels cut off from contemporary pop culture. But it’s not like I was able to keep up with all the shows and movies anyway. Some days it feels liberating to know that I’ve simply given up on even trying to keep up. Other days I actually feel the pang of loss, silly as that sounds. But the pop culture artifacts and trends I keep up with now feel more… vital, I guess? At least, I try to engage with them more deeply. Maybe I don’t. Maybe that’s the illusion I haven’t yet dispelled. If you’ve read this far, please take a moment to like this post or comment below! I’d like to hear from you, whether you’re a new visitor or an old friend. As ever: pull up a chair, pour a cuppa joe, and let me know what’s on your mind. The number of books I read for pleasure plummeted again this year in direct proportion to the amount of reading I did for my graduate research. One of my least favorite things about research is the necessity of skimming or reading only pertinent parts of a longer work. The nature of modern research (i.e., take what you need and leave the rest, as Levon Helm once crooned), in my view, does violence to the author’s work and to my own capacity to grasp the nuances of it. There aren’t enough hours in a day, not enough days in the semester, and not enough semesters in a grad student’s life to give each text its proper due before I cite it in an article or dissertation chapter. To top it all, I find that I’ve become a much slower reader. Either my ability to absorb information quickly has simply declined with age or I’ve become far more cautious about believing I’ve grokked a text when I really haven’t, or both. The net result is that I completed far fewer books this year than in the past three years, so I feel a bit abashed. All the same, I read some really good stuff. Everything below is a book I finished in 2018. The following books significantly expanded, enhanced, or otherwise altered my worldview. 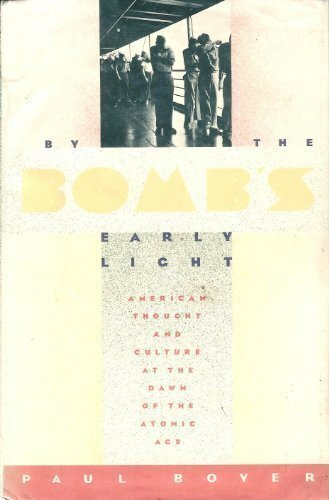 By the Bomb’s Early Light: American Thought and Culture at the Dawn of the Atomic Age (1985) by Paul Boyer; Goddess of the Market: Ayn Rand and the American Right (2009) by Jennifer Burns; The Culture of the Cold War, 2nd Edition (1996) by Stephen J. Whitfield; One Nation Under God: How Corporate American Invented Christian America (2015) by Kevin M. Kruse; The Irony of American History (1952) by Reinhold Niebuhr. There are wonderful things about literary research, among which is the excuse to read invariably fascinating historical accounts. Boyer, Burns, and Kruse in particular have a knack for crafting engaging narratives and fleshing out their historical figures as compelling characters. Though Whitfield rather annoyingly does not include end- or footnotes (the annoyance is borne more of my needs, not his fault), he moves confidently through his period and offers a persuasive account of the cultural discourse of the long 1950s. The Irony of American History has been on my to-read list for some time now, and I was glad to have read it after digesting the other books listed above. While I think Niebuhr is fairly accessible, his arguments felt much more immediate—and provocative in my own cultural context—thanks to thanks to the cursory familiarity with his own era, furnished to me by the above historians. Reading all of these texts more or less side by side also yielded a more robust picture of the era. The Eisenhower in Whitfield’s narrative, for instance, is essentially a well-liked buffoon, in contrast to Kruse’s shrewd navigator of pop discourse, who managed to forge a quasi-secular (and defensibly pluralist, within a limited scope) American exceptionalism from the religious anxieties of his time. And those religious anxieties are even given more shading and nuance by Boyer’s tale of apocalyptic ambivalence and Burns’s account of burgeoning libertarian rebellion against the religious cultural consensus. 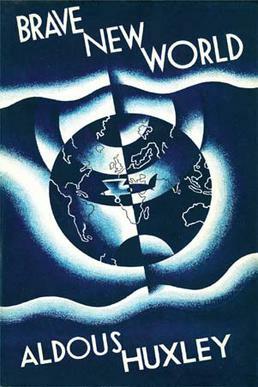 Brave New World (1932) by Aldous Huxley. The strangest thing about teaching this book was that several students said they didn’t think it was relevant to their lives. In my view, nothing about this book isn’t relevant to American life in 2018 (or 2019). I hadn’t read BNW since my senior year of high school (a time gap that can almost be measured in decades), and I was delighted and surprised and dismayed and shocked at how well Huxley’s ambivalent satire comports with the present moment. Social media might be missing from the novel and overt eugenics might be missing from our mainstream policy discussions (although that may change a few months, weeks, or days from now), but I think the dialectic Huxley poses—humanity’s happiness versus humanity’s soul—is as relevant as it’s ever been. Moreover, the soft totalitarianism of Mustafa Mond and the rigid authoritarianism of John the savage both have the ring of truth to them. Rather, it rings true to me that neither side of the great political contests of our age actually desires measurable progress; both have different ideals of stasis, and each is willing to justify virtually any action on behalf of attaining it. What’s worse, those defending the soul of humanity (or the very notion that there is a soul of humanity, or even a soul) used to be the ones who could be broken by shame at their own hypocrisies. Now? I’m not sure either side has any shame. Written today, BNW would probably end with John deciding to run for president and, against all expectations, winning. The Martian Chronicles (1950) by Ray Bradbury. I’m not sure how many novels like this exist—works comprised of a patchwork of interrelated short tales and vignettes—that maintain the same consistency of tone and political perspective throughout. Moments of farce and horror-suspense occasionally punch through a vibrant fog of nostalgic melancholy. It’s a tale of settler colonialism in which the colonists succumb to their own foibles, and connections with the past and future are wired into deceptive strands of memory. 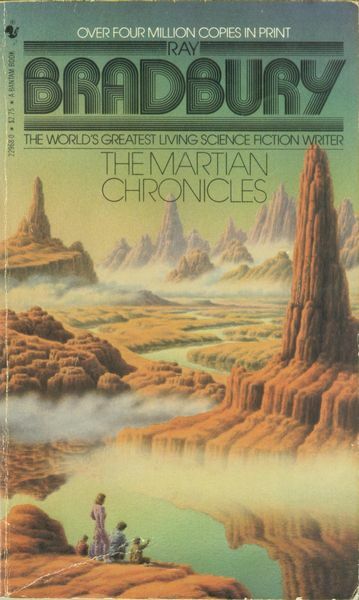 In a short space, I don’t think I can adequately describe the experience of reading The Martian Chronicles, but I do think it is probably one of the most emblematic works of American fiction produced in the mid-twentieth century. Mordenkainen’s Tome of Foes (2018) by Mike Mearls & Jeremy Crawford (lead designers), Adam Lee, Ben Petrisor, Robert J. Schwalb, Matt Sernett, Steve Winter, Kim Mohan, Christopher Perkins, Kate Welch, Nolan Whale. I’ve been playing D&D only since summer 2015, and though I’m very much in love with fifth edition, I haven’t loved all 5e products equally. Each of the previous supplements— The Sword Coast Adventurer’s Guide (2015), Volo’s Guide to Monsters (2016), and Xanathar’s Guide to Everything (2017) — has been better than the last. MToF hits a kind of sweet spot in terms of its timing. I’ve been improvising a campaign since early 2018, mostly cobbling together one-shots and old Spelljammer material (and, boy, do I wish Wizards of the Coast would release an official 5e Spelljammer module!). A couple of those one-shots were published on DMs Guild using MToF to great effect, and one of them in particular—M.T. Black’s The Lich Queen’s Begotten—forms the basis of the most recent portion of the campaign. It was written with MToF as its inspiration, and the moment I read it, I knew which direction the campaign would take. The writing in MToF is lively and engaging, making it a pleasure to read on its own merits. Furthermore, it develops existing races and monsters in nuanced, compelling ways—and it offers some cool mechanics for gameplay. The lore, the new race options, and the new monster stats are all incredibly well-balanced in presentation here, and though I think I’ve gotten the most use out of XGtE, the lore in MToF has already been integrated into several of the games I run. On a more general note, MToF is superlative evidence that WotC knows exactly what it’s doing in terms of long-term franchise-building. Not only does it deliver a bunch of middle- to higher-tier monsters for players to use as their longer-running games hit these tiers of play, but the lore fleshes out and more firmly establishes a comprehensive mythos upon which future adventure modules can draw. 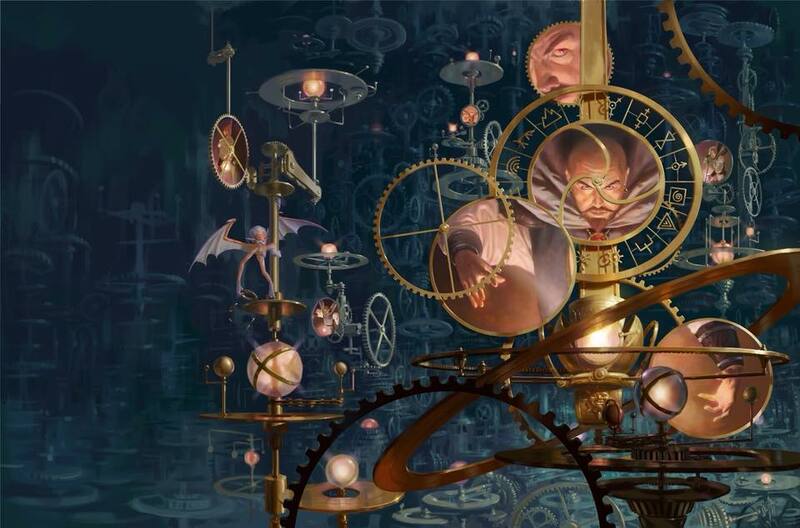 Once WotC finally releases an official Spelljammer or Planescape module, the lore will have been layered in for years, and players (and DMs) won’t have to process a whole bunch of info-dumping at the last minute before diving in. Everything from race and class options to monster customization tools to tips for how to integrate lore and monsters into a campaign has been well-thought-out and well-packaged. As a player and DM who is still relatively new to D&D, I can say that my experience with WotC’s 5e products has been stimulating, rewarding, and fun; most importantly, perhaps, it’s been accessible. It’s clear that this entire edition has been designed from the ground up with an eye toward cultivating a new generation of TTRPG gamers, and it has been especially hospitable to ambitious wannabe DMs like me. Although I intend to play older editions of D&D just to experience them firsthand, and even if I end up liking one of them far more than 5e, I don’t ever want to forget just how impactful this edition has been in my life. When gaming pundits look back on this edition and debate its legacy, I know that I will always be willing to testify about the ways it changed my life for the better. 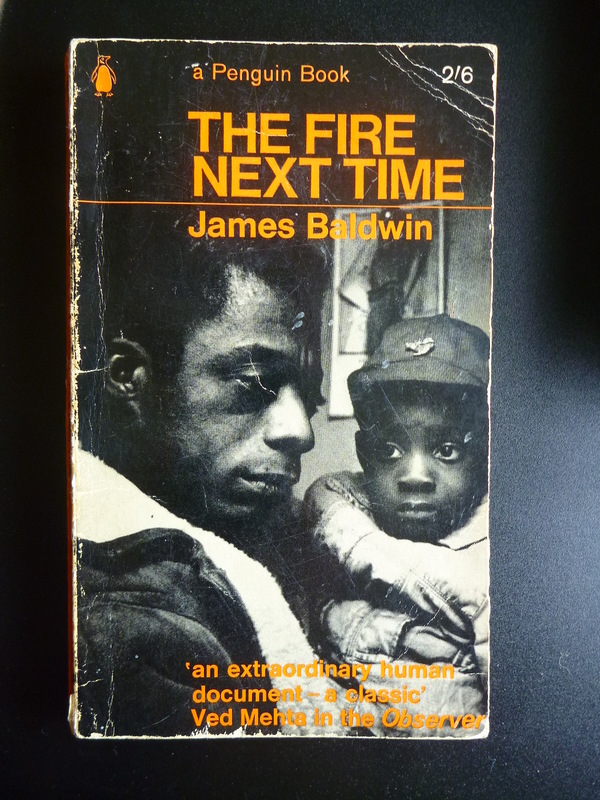 The Fire Next Time (1963) by James Baldwin. Full of outrage and wisdom, Baldwin doesn’t offer much in the way of consolation here. It’s not that kind of book. This is an intergenerational jeremiad, one that is meant to kindle hope, but only hope that finds expression in meaningful political action rooted in proper historical and cultural perspective. It’s bracing, poetic, and engrossing, and likely something I should return to regularly. The Patternist series (Patternmaster, 1976; Mind of My Mind, 1977; Survivor, 1978; Wild Seed, 1980; Clay’s Ark, 1984) and Bloodchild (1995) by Octavia E. Butler. I won’t say much about the stories in Bloodchild, which are not all masterpieces, though the title story and “Speech Sounds” clearly are. The biggest impact Butler had on me this year came as I read the Patternist books in order of publication. My intrepid sister scored a copy of Survivor at Half-Price Books a while back, then bought the Seed to Harvest collection, all of which she graciously loaned to me for an extended period. I must say that I was exceedingly glad to have read these books in publication order, as it enabled me to witness Butler’s mastery of her craft grow exponentially and visibly from book to book. Clay’s Ark is not a masterpiece, though it’s a fitting coda to the series, reinforcing the themes in the most ugly and brutal manner imaginable. In each of the first three books, you can see Butler working out her mythology at the same time as she is developing her command over characterization and voice. Though it’s last in terms of diegetic chronology, Patternmaster is easily the weakest of the books: ambitious, ferocious, and terribly imaginative, but a bit schematic and narrow in scope, and flaccid in terms of characterization. Whether somebody wants to chalk that up to authorial intent is debatable, I guess. Survivor is Butler’s first real success in matching a protagonist’s voice to the narrative and building pathos into her ambivalent politics of survivance. The masterpiece, though, and the culmination of the series’s power, is Wild Seed, which gains much of its power from the reader’s knowledge of the characters’ future. Rarely, I think, does a prequel do what Wild Seed does so successfully and with so little apparent effort. It lends gravitas to the mythos—filling in spaces, adding some dimension to it—without really upending anything or adding minutiae that totally reframe everything we already know. The reframing is more in the control Butler exerts over the themes, affirming what has already been established in such a way as to underline its tragic elements. 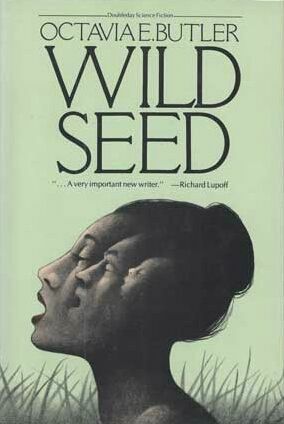 Though I think one could read Wild Seed as a standalone novel, I do think it is far more powerful a work as the capstone of the series. My Hero Academia, vols. 10-16 (ongoing) by Horikoshi Kohei. 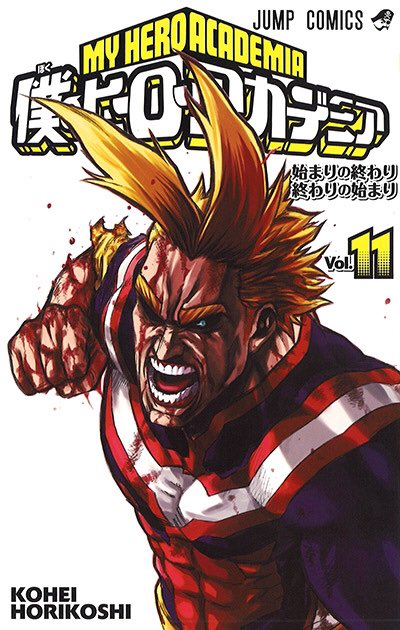 As I wrote in last year’s reflection on the books I’d read, My Hero Academia is both a refreshing contrast and homage to American superhero stories. As crazy as some of the powers and ideas in it may be, it strikes me as an essentially grounded series. It makes absolute sense that superheroism would be government-regulated—yet still very much capitalist!—in a society with so many superpowered people. And despite the perversity and deadliness of the various exams and tournaments to which our protagonists are subjected, these, too, have real-world analogues in Japanese education or in military or criminal justice training and evaluation. Most of all, I appreciate how the stakes in the series are complex but clear. All Might losing his powers in order to defeat All for One is meaningful on an individual level, but Horikoshi emphasizes what a devastating loss it is for the world. All Might is not dead, but he’s clearly not getting his powers back. Making himself—ultimately a man as mortal as any other—the “symbol of peace” for society worked while he was alive, but therefore it also means that the peace was always incredibly brittle. 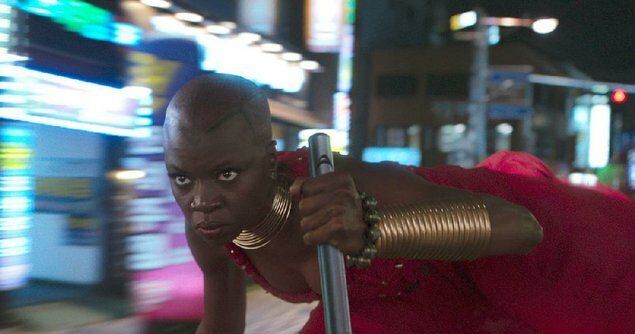 The ease with which victims and outsiders can fall through the cracks of the system—symbolized by superheroes—is terrifying, and while it makes the job of superheroes more meaningful, it also means that they’re not just defending society from the onslaught of villains; it means that they bear the psychological pressure of a maintaining the image of a functioning social order. It’s their job to preserve the illusion of utopian progress, and the villains—evil they may be—are ultimately committed to exposing society’s fallibility, revealing the ways in which a supposedly functioning social order lets down its own people time and again. Christopher Nolan explored this dynamic in The Dark Knight, but not quite as successfully—perhaps in part because American superheroes are simply too individualist by nature, too rooted in their own neuroses. Captain America: Civil War is the perfect illustration of that tendency. To be sure, Horikoshi is not attempting to mount an astute, erudite satire here. This is very much a shonen action-adventure. But the themes and the way he explores them, however subliminally, continues to strike me as essentially more on-the-mark than most American superhero stories with which I’m familiar. 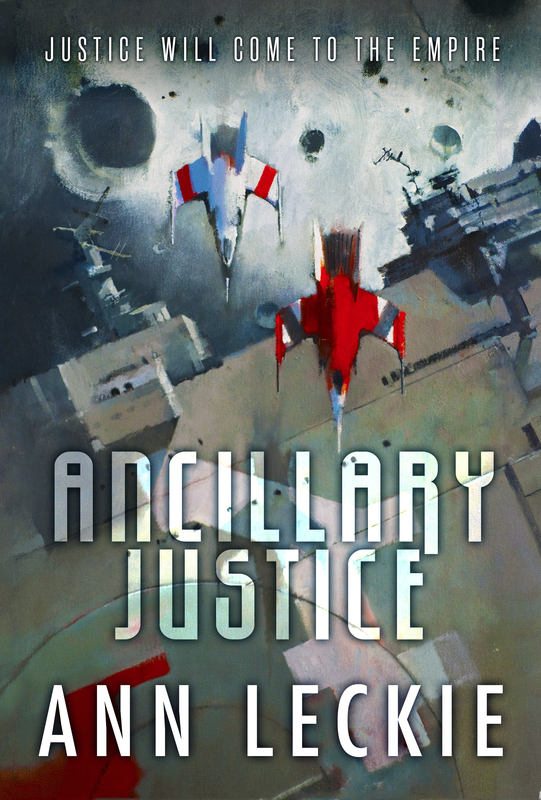 Ancillary Justice (2013) by Ann Leckie. Justly praised when it came out, this is a book I’ve been wanting to get to for years. It didn’t disappoint, and the more I contemplate it, the better I like it. A lot of the discourse surrounding this book focuses on how it subverts or reimagines space opera tropes, focusing on identity and relationships in provocative ways. It does those things, of course. But it’s still a space opera, so the fate of the galaxy is still at stake, and the heroics of a single outlaw who’s good with a gun still ultimately determine the outcome of a civilizational crisis. 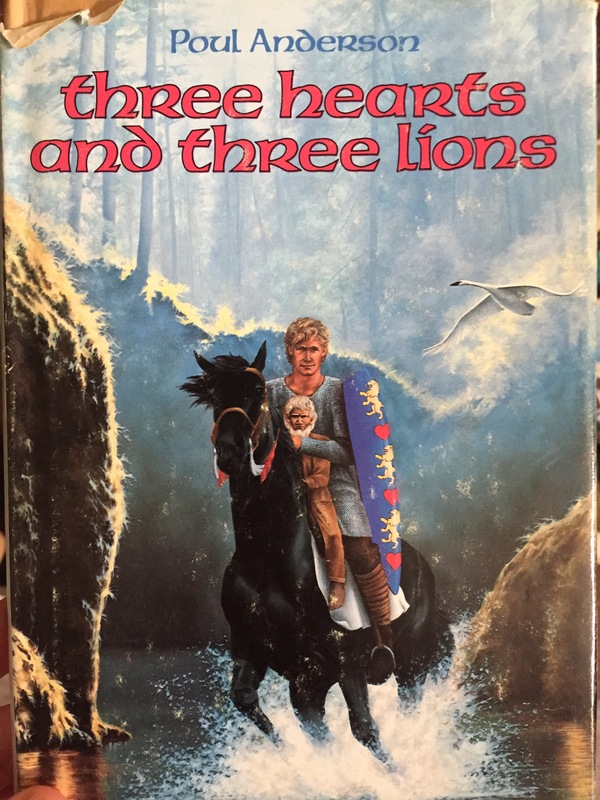 Three Hearts and Three Lions (1961) by Poul Anderson. Yesterday afternoon, I finished reading The Voyage of the Dawn Treader to my son. He’s not yet one (just a little shy of it). I possess enough maturity to admit that I’m reading The Chronicles of Narnia to him mainly for my own sake, because he’s too young to remember any of this, but I’m selfish enough to continue doing so all the same. It’s important for me to know that I read to my child from time to time, and as long as I’ve harbored the desire to be a father, I’ve wanted to read these books to my child. In truth, they’re a really mixed bag. C. S. Lewis is one of my favorite writers, but I love the Narnia books more for nostalgia than for their literary accomplishments; it’s Lewis’s essays that I tend to admire much more unreservedly. The structure of his novels is usually awkward, and I don’t think his ear for characterization is always really finely tuned (Caspian, for instance, never really comes into focus for me). Part of the series’s charm is how willing Lewis is to commit to the logic of fairy tales for children, but it’s also a bit disjunctive as I read, say, the bit about Santa Claus visiting Narnia in The Lion, the Witch, and the Wardrobe. On the whole, I suspect that the problems I bring to my reading of Narnia are a result of how well (how poorly?) Lewis blends his aesthetic and religious sensibilities. For instance, my perspective on Reepicheep the gallant mouse has shifted fundamentally since I first read this series as a child. I doubt that Lewis was blind to Reepicheep’s recklessness and parasuicidal commitment to chivalry; he finds plenty of places to poke fun at the mouse’s Quixotesque comportment. But Reepicheep is, fundamentally, heroic in that old-fashioned sense. Never mind that Reepicheep is exactly the kind of soldier that, in real life, likely would die young and horribly; or, if he managed to live long enough to gain command, hundreds of mothers and fathers would lose their draft-age children to his hawkish monomania. I dunno, maybe Reepicheep was more plausibly heroic in the age of Winston Churchill or something. He’s the embodiment of old saws like “Nothing ventured, nothing gained” or “Fortune favors the bold.” As I reread The Voyage of the Dawn Treader, though, I mostly found myself pondering how unfair it was that so many of the lords-in-exile met such horrible, lonely fates while Reepicheep got to go to Aslan’s country. Apparently Reepicheep was better than they were, at least in the moral schema of The Chronicles of Narnia. Even with all of this, there are parts of the book that strike utterly true. Yesterday afternoon, reading the final pages of Dawn Treader brought me nearly to tears. It was most unexpected, and an incredibly rare instance of a book wringing a sob from me. The passage that did so is transcribed below. The children—Lucy and Edmund Pevensie, and their cousin, Eustace Scrubb—have just watched Reepicheep disappear over the Eastern wave in his coracle to the land beyond, which, the narrator believes, is Aslan’s country. As the sun rose, the sight of those mountains outside the world faded away. The wave remained but there was only blue sky behind it. The children got out of the boat and waded—not towards the wave but southward with the wall of water on their left. They could not have told you why they did this; it was their fate. 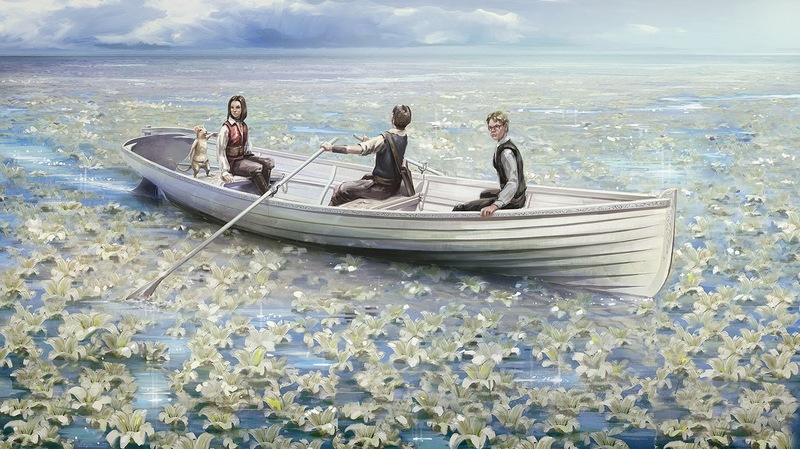 And though they had felt—and been—very grown-up on the Dawn Treader, they now felt just the opposite and held hands as they waded through the lilies. They never felt tired. The water was warm and all the time it got shallower. At last they were on dry sand, and then on grass—a huge plain of very fine short grass, almost level with the Silver Sea and spreading in every direction without so much as a molehill. And of course, as it always does in a perfectly flat place without trees, it looked as if the sky came down to meet the grass in front of them. But as they went on they got the strangest impression that here at last the sky did really come down and join the earth—a blue wall, very bright, but real and solid: more like glass than anything else. And soon they were quite sure of it. It was very near now. “Come and have breakfast,” said the Lamb in its sweet milky voice. Then they noticed for the first time that there was a fire lit on the grass and fish roasting on it. They sat down and ate the fish, hungry now for the first time for many days. And it was the most delicious food they had ever tasted. “Are—are you there too, Sir?” said Edmund. “And is Eustace never to come back here either?” said Lucy. “Child,” said Aslan, “do you really need to know that? Come, I am opening the door in the sky.” Then all in one moment there was a rending of the blue wall (like a curtain being torn) and a terrible white light from beyond the sky, and the feel of Aslan’s mane and a Lion’s kiss on their foreheads and then—the back bedroom in Aunt Alberta’s home in Cambridge. Honestly, so much of this passage exemplifies the problems I bring to Narnia as I approach middle age. Aslan referring to himself as “the great Bridge Builder” feels unintentionally ironic, given the climax of Prince Caspian. The Christian symbolism also feels a bit overbearing: the parenthetical of the sky tearing like a curtain, for example, feels like a final, errant brick on a teetering Jenga tower. Why does a sky described previously as “more like glass than anything else” sound like a curtain when it’s torn open? And why would Lewis expect his readers—even ones who catch the allusion to Matthew 27:51—to know what a tearing curtain sounds like? And that description of the “terrible white light from beyond the sky” is almost too much whiteness, after using “white” or “whiteness” so many times to describe various aspects of the End of the World. It reminded me too much of The Narrative of Arthur Gordon Pym of Nantucket. But that’s also what sort of makes it work, because what Lewis is getting at here is the poignance of the Christian hope of death and resurrection. To get (almost) to Aslan’s country, the children and mouse travel through a sea of lilies. They are carried there inexorably by an ocean current. Reepicheep himself simply floats up, away, over the wall of water. The fish lunch evokes Jesus preparing breakfast for his disciples after the resurrection, just as the tearing of the temple curtain signals his death on the cross. I don’t believe Lewis was deliberately evoking Poe here, but I also don’t think it’s coincidental that both authors—romantics to the core—depicted the climax of their oceanic voyages in such complementary terms. Both are reaching for the sublime, but Lewis is the only one who approaches it with religious hope. In any case, for all its didacticism—perhaps because of the sincerity of the didacticism—this scene underlined for me what makes Lewis work, even when what he’s doing borders on the risible. In this book, Lewis rehearses the bittersweetness of death for the practicing Christian, and it’s all the more poignant because the children don’t quite grasp that Aslan is telling them that they will only see him again when they’re dead. After they’ve had to struggle through the remainder of the adolescence and adulthood in a world where Aslan does not roam in the flesh, holding on to the memory of what it was like to feel the Lion’s kiss. That’s really tough stuff. And because it’s Edmund and Lucy—the last of the original children from The Lion, the Witch, and the Wardrobe, the last of the High Kings and Queens, and the ones who first ushered readers into his magical, faraway land—who are being shut out of Narnia, it’s especially bittersweet. The connection is broken in some way. (Yes, Eustace is a cousin, and yes, he does return to Narnia, but it’s different. In a good way, I think. But that’s not something that this particular book ending is about, as Aslan flatly reminds us.) They’re being told, in essence, that their childhood is over. Peter and Susan were told the same thing at the end of Prince Caspian, but we still had the younger two siblings. And they were told they would return. Here? Aslan plays coy about Eustace, probably because Lucy is being petulant. But that petulance is the last we see of Lucy, and it’s a very human response to realizing that childhood is over. With the official growing up of the four Pevensie children, the reader’s extended childhood, too, is over. The child dies to the adult, and then the adult dies, too. Death is Aslan’s kiss, too. It’s too much to take in, which is part of why I started to cry. But death is not the point of this encounter, even if it’s the motif. The line that set me off was, “‘Not for you,’ said the Lamb. ‘For you the door to Aslan’s country is from your own world.’” The one that nearly did me in was, “‘You are too old, children,’ said Aslan, ‘and you must begin to come close to your own world now.’” But that’s also the line that pulled me back. That’s a weird phrase there, “you must begin to come close to your own world now.” It stopped me; it nearly made me burst into tears; it made me reread the line; it brought me up short; it made me reflect. Here Aslan is reminding the children that, though Narnia is as real as our own world, it is not our own world. And Edmund and Lucy have have their most meaningful, their most formative experiences, in this place that is not their own. In order to get to Aslan’s country again, in order to form themselves properly for it, they need to return to their own world. Narnia is vitally important, but it’s not sufficient. What I take Lewis to mean here is that we need Narnia—we need the stories, we need the experience of the divine in our dreams and fantasies—but we need to do something with our experience of Narnia. We can only do something with Narnia when we’re not in Narnia. The same goes for reading Scripture or going to church. We need the Word, and we need communion. But that’s not sufficient. The point of visiting Narnia is to prepare Lucy and Edmund for re-entering their world, because the real work Aslan needs them to do is to find him there. Narnia is the place where Aslan comes to them; our world is the place where they go to him. Just as Reepicheep journeys beyond the End of the World in Narnia to reach Aslan’s country, the Pevensies must journey beyond our own world’s end. It’s hard work preparing to meet one’s maker, and our all too brief journeys through lands and seas and stars beyond imagination are there to guide us, to fortify us, to show us the way, like a rising sun, like a king’s feast, like a magician’s map, like a like a Lion’s kiss. Here’s one last thing I know that probably took Lucy and Edmund a few years to realize. It’s something Lewis knew well, a wisdom he gifted to all of his readers, even if they found his Narnia itself not to their liking. I can return to Narnia any time I want. As long as we don’t misplace our favorite books, we all can. Some observations about Ready Player One, a film I more or less enjoyed. Contest these as you please. 1.) It’s a surprisingly ugly film. And I don’t mean in the sense that the Oasis—the MMO where basically everybody in the future spends every last available scrap of their dismal lives—looks like every trashtopia dreamed up in the eighties smushed together. (It is that, too. The color palette alone is off-putting. But there are some moments of beauty strewn throughout.) I mean the cinematography looks too crisp, and that means the lighting lacks the texture I’ve come to expect from Janusz Kaminski. Sets feels like sets. Lighting effects feel like lighting effects. I dig that expert directors like Spielberg are experimenting with hi-def digital photography, but man, this film did not look good. Maybe I’ll change my mind about this upon a re-watch. 2.) And that ultra-crispness in the photography only makes the CG scenes look worse. Yeah, Ready Player One is a sprint through the uncanny valley of death. One thing that I’ve been puzzling over is whether Spielberg meant the uncanny valley effect to bleed into the scenes set in the real world. Nothing in the film looks or feels real, even though it’s shot in the most high-quality way available. Again, a re-watch may change my mind. 3.) The video-gaminess of the Oasis is itself simultaneously well-captured and off-putting. From the incessant camera movements to the way nobody and nothing in it moves quite right to the stylized character designs and mannerisms, Ready Player One feels like one neverending cutscene. I’m ambivalent about that. 4.) Both in and out of game, there is always too much to see. One of the film’s greatest accomplishments—again, I admit I’m ambivalent—is that it’s genuinely overwhelming. Appropriately enough, viewers could likely spend a lifetime picking out every easter egg in the film. But would the volume of accreted details actually enhance the film or make it more meaningful? Or are they just… more? This is a question that probably depends very much on what each viewer brings to the film, and in its own way, it comprises a kind of game for the right kind of viewer. Ready Player One: pop cinema as a cascading series of Where’s Waldo? checklists. 5.) I’m not even going to bother talking about whether the film is postmodern or what that might mean. 6.) I’m more interested in the realization of Ready Player One as a decadent feast. As a piece of escapism, it’s… well, mileage may vary and all that. The basic appeal seems to be that it’s a chance to vicariously enter into the artifacts of nostalgia. The most fun I had watching the film wasn’t even the chase scenes or the final battle. Two scenes stood out to me. The first was the recreation of The Shining as a place, rather than a narrative. No longer simply an artifact, the film itself is something the players can jump into and walk around in, and many shots in that sequence were simply stunning, even when the waltzing ghosts of Disney’s Haunted Mansion were grafted into it. The narrative of The Shining no longer matters: only the love of particular moments and places within it. Then there’s the climax where Wade Watts, the hero played by Tye Sheridan, gets to talk to his god, the designer of the Oasis. James Halliday (Mark Rylance) takes Wade into his childhood memory, where they walk around young James’s bedroom: a sanctuary, an oasis, utterly cluttered with pop culture bric-a-brac. It’s a very Brian Wilson moment. That scene in the bedroom is also quietly moving. 7.) I said that the Shining set piece transforms a narrative into a place, and I think there’s something interesting going on with Ready Player One that is all about space and narrative. More specifically, it’s about memories and how they are used to construct narratives. But the narrative of Ready Player One is that Halliday has essentially turned the Oasis into his autobiography, and the player that is able to find the keys he’s hidden throughout it will experience the narrative of his life and come to really understand who he is. And who he is, it turns out, is the Oasis: a place. Wade gleans most of his clues in his easter egg hunt from a gallery of tableaux that showcase various moments in Halliday’s life. Here, too, memory is presented in terms of space, and with the ability to rewind, fast-forward, pause, etc., those memories are not intrinsically temporal. They’re only temporal when viewed and made part of the narrative of the player’s life. 8.) Much video game criticism for the last 20-odd years has focused on the form of video games as distinct from narrative. There are couple big through-lines Ready Player One engages. The first is that one about space. In video games, you explore and traverse space in a participatory way that is unique to them. But that space, its representation, and its interface with the user are all governed by algorithms. Which are fancy, exceedingly complex, semi-autonomous sets of rules. Games are rules. So it’s really, really weird how one of Halliday’s main themes is his hatred of rules. I’m not sure that this movie really does enough with that subtheme. One of the pleasures of a good game is the ludic freedom of playing within constraints, but seeing how far you can bend them to your advantage or the skill with which you can manipulate them. Yet Ready Player One spends a lot of time contrasting Halliday’s purity with the neo-feudalist corporation, Innovative Online Industries (IOI), which only wants to use the OASIS to further its control over the populace. The fact that Halliday is an obsessive with a god complex is muted by the enthusiasm the heroes have for his creation and the fact that it is pretty cool and all. 9.) Like all of Spielberg’s attempts to critique corporate capitalism, this one, too, feels vacuous. While it feels prescient enough, it’s genuinely weird that the film ends with a small group of gamers taking control of the Oasis and imposing their will on it as if that’s not a wee bit authoritarian. The main difference between them and the evil corporate goons is that they won’t profit from… oh, wait, no, that’s not it. Hm… Unlike the corporate goons, they don’t arbitrarily make rules about… er… Well, they don’t enslave people through indentured servitude. Which is good. 10.) What really makes the bad guy bad in this film is that he doesn’t have fun with the game. Well, that and he commits murder. But he commits murder because he’s the kind of guy who doesn’t relish gaming for its own sake. Which, again, is a wicked insight, because Halliday is the one who established the framework for winning the easter egg hunt. The prize is a controlling share in the wealthiest and most powerful corporation in the world. It’s a competition with no rules that prohibit abusive capitalist practices and with a prize that absolutely incentivizes them. So what if nobody has fun playing the game anymore? The point is not to have fun; the point is to win, because the stakes for winning are as high as they get. Halliday is deluded if he doesn’t get that. Maybe that’s part of the point. But Halliday, in the end, doesn’t feel like the subject of critique; he feels like so many other Spielbergian dreamers, a misunderstood soul whose inability to grow up is what grants him some sort of moral authority. 11.) Like many of Spielberg’s attempts at political provocation, Ready Player One fumbles a lot of the nuances, but it posits a lot of great problems. At its root, Ready Player One is about commercializing the subjectivity of escapism. Spielberg (and presumably Ernest Cline, who co-adapted the script from his own novel) celebrate the subjective agency of escapism. The free play of imagination is a touchstone in Spielberg’s body of work, and though he often tempers his embrace of its transformative power (Hook is a perfect example), he does seem to think it a good thing. But Spielberg has always been discomfited with commercializing the fruits of imagination, even though a case could be made that nobody of his generation except, perhaps, George Lucas, is better at doing that very thing. In short, there is no escaping the commercialization of escapism in a Spielberg film. To Spielberg’s credit, the contamination of imagination by commercial reality is always something he wrestles with, but there’s no getting around the fact that he has—very lucratively—benefitted creatively and monetarily from that intersection for going on fifty years. Aestheticized politics in the age of digital retweetability. Hitler also maintained a keen interest in the weekly newsreels or Wochenschau throughout the war period, at least up until 1944. No newsreel could be released without having been viewed and, if necessary, altered by Hitler. A copy of the Wochenschau, with a typescript of the text that was to serve as voiceover, was sent regularly to Hitler’s Adjutants Office. Frustratingly, next to no record survives of what he changed, or added. One thing is clear: Hitler’s scrutiny of the newsreels and military documentaries, as well as his earlier commissioning of Riefenstahl’s Nuremberg rally films, reflect a preoccupation with the representation of his image. Hitler was strongly media-conscious, powerfully aware of the capacity of film and newsreel to project his chosen view of reality and of himself. It is well known that, as the war wore on, Hitler’s public appearances became rarer and rarer. Just as significant was his withdrawal from the newsreels. His physical debility, probably brought on by Parkinson’s disease, was now hard to conceal. Equally hard to deny was the likely outcome of the war. Given that he could no longer be represented as he wanted to be, he opted not to be represented much at all. Goebbels tried desperately to persuade Hitler to show himself more often, in public and in the newsreels. Hitler largely refused, feeding rumours about his ill health. In a sense, that Hitler absented himself from the newsreels was already a concession that the war was lost. This article in History Today reminded me of an article my friend Kevin had written more than a decade ago for a little magazine published by some fellow classmates of ours. His argument, if I recall correctly, had been that Hitler was, in essence, perhaps the most significant filmmaker of the twentieth century. His attention to detail, the singularity of his vision, and his commitment to marshaling the resources of the German state to realize it all contributed to his oeuvre being one of the most efficacious in the history of cinema. Which is to say, it mobilized political evil on a scale that was and remains, I suspect, unprecedented. Put another way: the compelling horror of the Nazi regime would be unimaginable without cinema. And I would argue that that is true both of the propaganda ministry and of our historical memory of the regime’s atrocities. This was something Walter Benjamin tried to get at in his classic essay, “Art in the Age of Its Mechanical Reproducibility.” And I think these lessons are as relevant as ever in an age where flash mobs of protesters are organized, convened, and filmed with dissemination in mind. Not to mention that the president of the United States cares more about himself and his image than he does anything else in the world. Kevin’s argument (again, if I recall correctly) was essentially auteurist. Though Hitler as artist displaced directors, producers, and scriptwriters — typically the ones ascribed signatory stature in auteurist theory — I think found the argument to be more or less persuasive. Something I’ve been thinking about is whether anything other than a Marxist theory of film can account for authorship in a networked society. What I mean is this: let’s say that there’s a Trumpist kind of media representation. Donald Trump is actually pretty good at managing his image, loathsome though it is to many of us. But he’s not, properly speaking, a filmmaker. Not even in the stretched-thin way that Kevin applied it to Hitler. He’s not hands-on with all the representation the way Hitler was. But he is currently the focal point of a whole mode of representing social reality that is common parlance to the Trumpist conservative movement. Dinesh D’Souza keeps making movies, but he’s just one part of this. There’s also Fox News. There’s the legion of Internet trolls. And then there are the friendly media outlets — such as those owned by Sinclair — which also push a pro-Trump line. 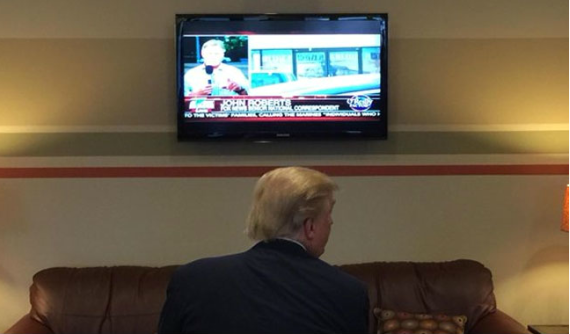 The most important thing, I think, is to bear in mind the dialectical relationship between Trump, the institutional media, and social media. (I guess a better term might be “trialectical,” but not in the way Lefebvre meant.) To reiterate, there’s no centralized coordination going on here. Not that I’m aware of, anyway. What does it mean to aestheticize politics in this era, where art’s mechanical reproducibility is effectively democratized? I don’t really know, and I don’t have the energy to speculate further on that now. But I’m going to keep thinking about these questions: without a central figure, does aestheticized politics lose its efficacy? And is the state any longer necessary as a controlling structure for focusing such efforts? Does the wide availability of digital film equipment and social media comprise a pendulum swing toward politicized aesthetics — and if so, has it turned out better or worse than Benjamin could possibly have imagined?